Dominic Vergine was appointed head of sustainability and corporate responsibility in March 2010. He is responsible for developing ARM’s sustainability and corporate responsibility programs. Dominic is currently driving several initiatives focused on delivering technology across the developing world and exploring how technology can help improve global sustainability. He is also involved in company reporting, marketing, business development, government affairs and public policy for the sustainable development of ARM. Prior to ARM, Dominic co-founded Iceni Mobile, Aptivate and Vertus Tech. As CEO of Aptivate, Dominic worked with governments and international agencies across Europe and Sub-Saharan Africa to focus on technology for International Development (ICT4D). Dominic is also a Trustee and co-founder of The Humanitarian Centre. 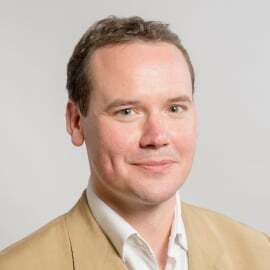 Dominic has a master’s degree in English Literature from the University of Oxford and a Post-Graduate Certificate in Sustainable Business from the University of Cambridge.